We plant trees as well as trimming them! 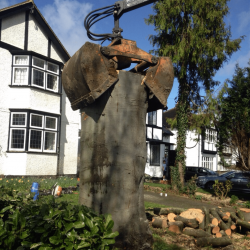 Are you looking for a professional arborist to help with tree stump removal in Cobham? Perhaps you need regular tree maintenance, pruning or trimming in Stoke d’Abernon or Oxshott? Perhaps you are looking for someone to help with a garden clearance? Whatever your tree needs, our experienced arborists can help! DH Tree Services is a specialist, family-run tree company working throughout your local area, offering a high quality and competitively priced garden services, so you can keep your trees, hedges and garden looking great! 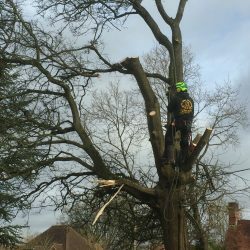 As highly skilled and experienced arborists, we are passionate about what we do and pride ourselves on delivering work of the highest standards. With a wealth of knowledge, we can provide tree management and garden services to domestic, public sector and commercial clients, regardless of the size of the job. We work with clients of all descriptions and budgets, throughout the nearby areas, including in tree surgery in Dorking. 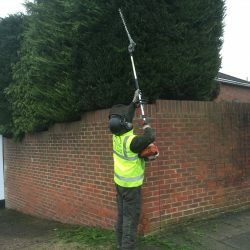 Tree work and pruning can be dangerous and should only be undertaken by fully-trained professionals; we are fully certified and insured and all work complies with British standards. We will take every step necessary to ensure everyone’s safety and that your trees are set up for a long and healthy life. Before we begin any work, we will carry out all local authority checks for free, including checking for Tree Preservation orders and looking into whether your tree or site is part of a recognised Conservation Area. 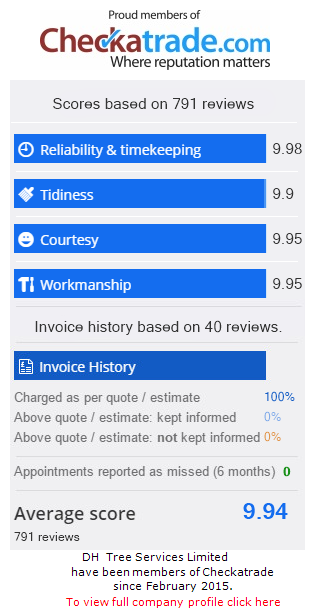 We have an honest and transparent pricing policy and will never recommend any unnecessary work. 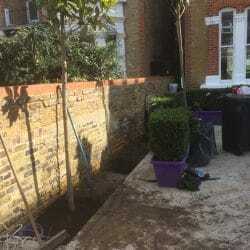 If you are looking for professional tree surgeons or gardeners in Cobham, you have come to the right place. Call us now on 01737 215 718 or 07872 615 504. All trees have a natural life span so will die eventually and there are other reasons why trees might need to be felled, such as when they become unstable or incorrect planting schemes. Our highly-qualified tree surgeons can deal with all your tree felling and tree removal requirements. All our arborists are highly skilled and take great care to ensure that all work is carried out safely with consideration for the surrounding areas. 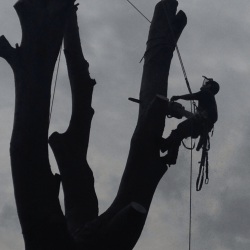 We regularly carry out tree removals where we need to be able to control the direction and weight of the tree – this is called sectional felling or rigging. We use specialised equipment to safely remove sections of the tree in stages. We can then offer advice about how to use non-diseased tree waste, such as for wood chippings and can assist you in choosing new trees. Once your tree has been cut down and removed, it is always worth removing the tree stump, so it does not rot or have a detrimental effect on the rest of your garden. 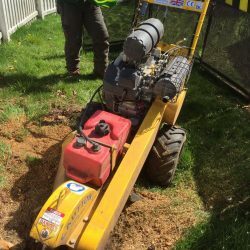 We use special equipment to quickly and efficiently remove stumps and roots of trees and will always leave any site as tidy as possible. As well as stump grinding where a machine is used to remove the stump, we also offer stump treatment, where we apply herbicide to kill the tree stump and roots and to prevent regrowth. 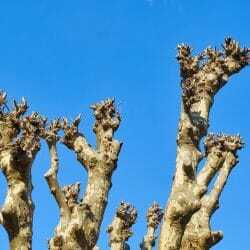 It is always best to leave tree pruning to the experts – the pruning of medium to large trees may require climbing, ropes and heavy saws and is definitely not a job for a DIY gardener! 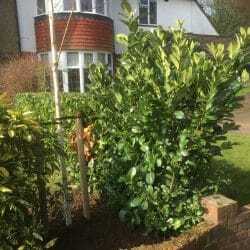 Like any other plants and trees, hedges and shrubs also need care and maintenance if you want to get the best from them. With the right pruning methods, we can guarantee they will be a real asset to your property. Call our specialist tree surgeons and gardeners in Cobham for a free quote! For more information or to request an estimate for any work, please ring us on 01737 215718 or 07872 615504, email dhtreeservices@gmail.com or pop your details onto an online enquiry form and we will get back to you.